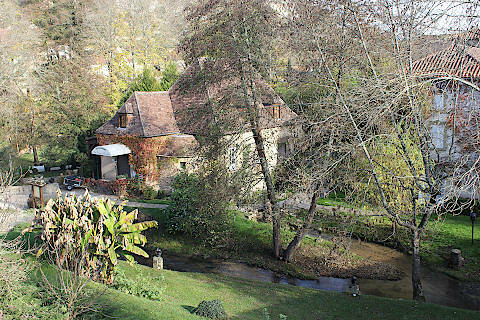 Les Eyzies is a village in the heart of the Vezere Valley (in the centre of the Dordogne) and within easy access of a great number of prehistoric caves and drawings and remnants. It is because of this, and the beauty of the surrounding natural environment, that the village is a very popular base for visitors exploring this unique region. 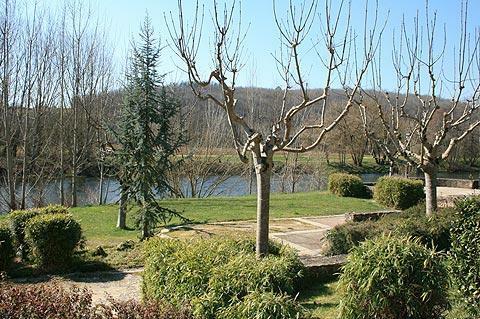 Because of the remarkable number of prehistoric sites nearby Les Eyzies calls itself the 'world capital of prehistory'. France This Way comment: Les Eyzies is at the heart of a very beautiful region of France and as well as the prehistoric monuments there are numerous cliff and rock formations, surrounded by rivers, hills and tranquil countryside to explore in the vicinity. - the National Prehistory Museum, housing one of the world’s most complete collections of prehistoric artifacts. - the cave at Font de Gaume is on the edge of the village of Les Eyzies and contains some of the oldest cave paintings in the world (and the oldest where you can actually see the original paintings, rather than a copy - the paintings are less dramatic than those at Lascaux but the knowledge that you are stood in the exact same place as the original artist gives these paintings a particular poignancy). In addition to the many caves and cliff settlements to visit in and around Les Eyzies, there are also a number of prehistoric parks in the region recreating life 10,000 years ago. Some are focussed more on childrens entertainment than historical accuracy! The cave-lined Vézère Valley, occupied since prehistory, has now been classified in its entirety as a heritage site by UNESCO. It is interesting to note that it was here at Les Eyzies that so called 'Cro Magnon man' was first discovered, when three skeletons were found towards the end of the 19th century. As well as Lascaux cave and Font-de-Gaume the cave system of the Grotte de Rouffignac, also know as the cave of a hundred mammoths, is well worth exploring. 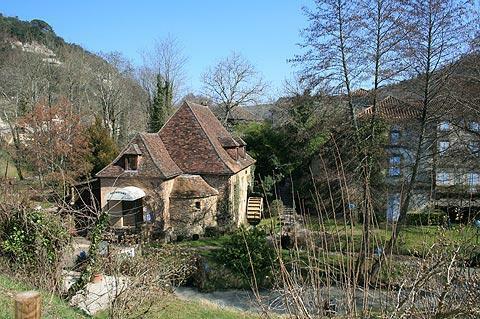 You can find more local travel ideas in the Dordogne guide and the Aquitaine guide.